BiziFit Members can Enjoy Yoga at Binghamton Zen Den! Whether you’re years into your fitness journey, or just beginning, we’re excited that you’ve decided to come along for the ride! While we have big plans for the future of BiziFit, we decided that bringing together leaders in our fitness community is step one. We are very pleased to have assembled a solid core of gyms and studios offering diverse activities in various locations from Binghamton & Johnson City to Endwell & Vestal for our members to visit. If you’ve been following our announcements, you’ve seen that Ironworks Gym, TRYoga, JAM Fitness, CrossFit Sona, and The Pilates Salon are all official Bizi Sites where BiziFit members will enjoy lifting weights, practicing yoga, taking group cardio classes, doing CrossFit, and trying Pilates. Today, we introduce even more variety as we announce our latest participating Bizi Site: Binghamton Zen Den! While you might be inclined to think the Zen Den is “another yoga studio”, you’ll quickly realize that practicing the same activity in different places with different instructors creates new experiences that enhance your fitness journey. Just as there are many flavors of coffee, there are many flavors of yoga! 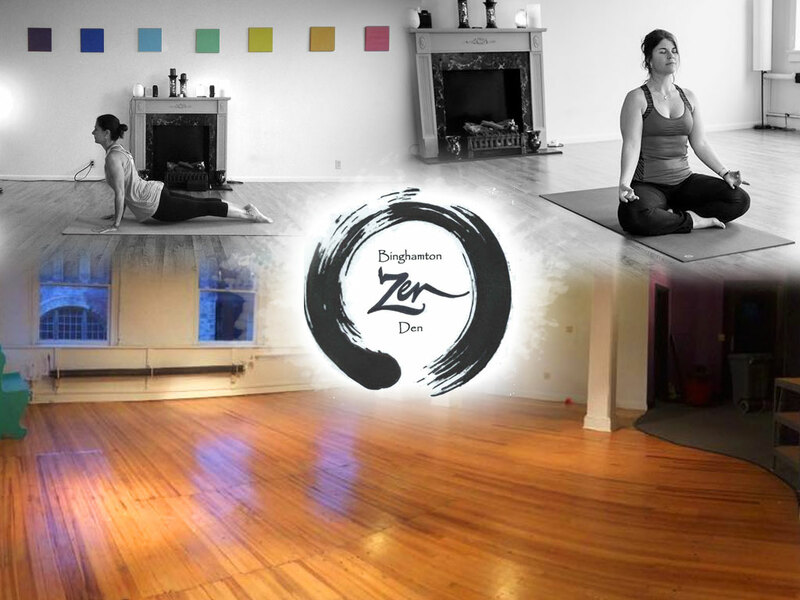 Binghamton Zen Den is a warm and inviting space that introduces the positive benefits of yoga by nourishing your mind, body and soul through gentle, vinyasa and power yoga. The schedule includes Beginner, All Levels Vinyasa, Advanced Vinyasa, Meditation & Restorative, Candlelight Yoga, Yoga with Massage, Children’s Yoga, and Indo Board Yoga classes. PrevPreviousBiziFit Introduces New Bizi Site: The Pilates Salon!